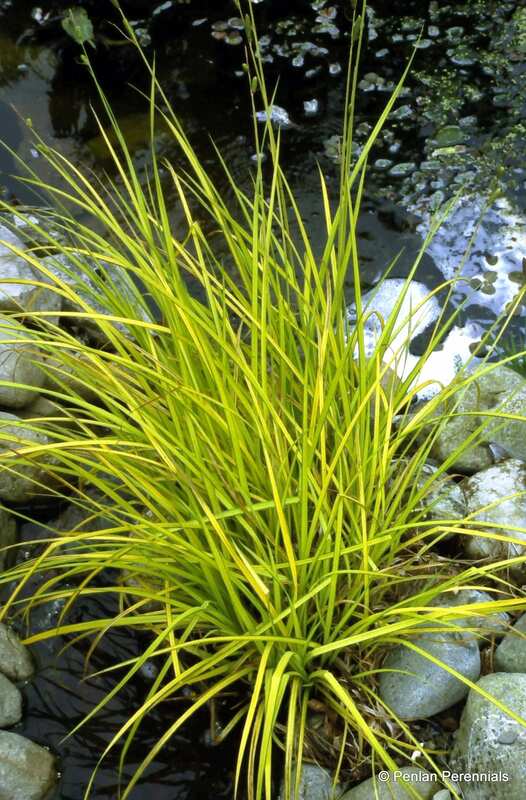 Bowles’ Golden Sedge is a lovely native grass like plant, with bright yellow leaves, narrowly edged with green. 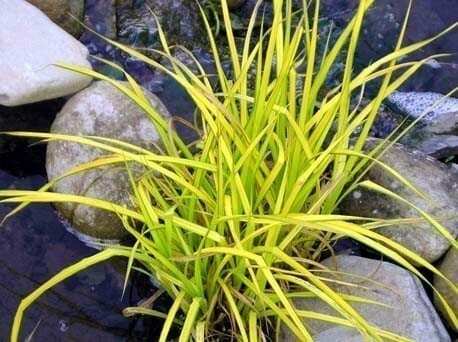 It is happy planted in up to 5cm/2in of water, or in any moist to wet soil, so it can be planted in your pond, by the waterside or in a bog garden. The black seed heads are an attractive contrast to the foliage during autumn and are excellent in flower arrangements. Easy to grow in all soils. Found by E.A. Bowles in Wicken Fen, Cambridgeshire. An RHS Award of Garden Merit plant. Hardiness rating H6. This plant needs very little attention, just cut to the ground in spring. Easy to propagate by division in April or May. It does set seed but only a proportion comes true in our experience, and division is much easier!